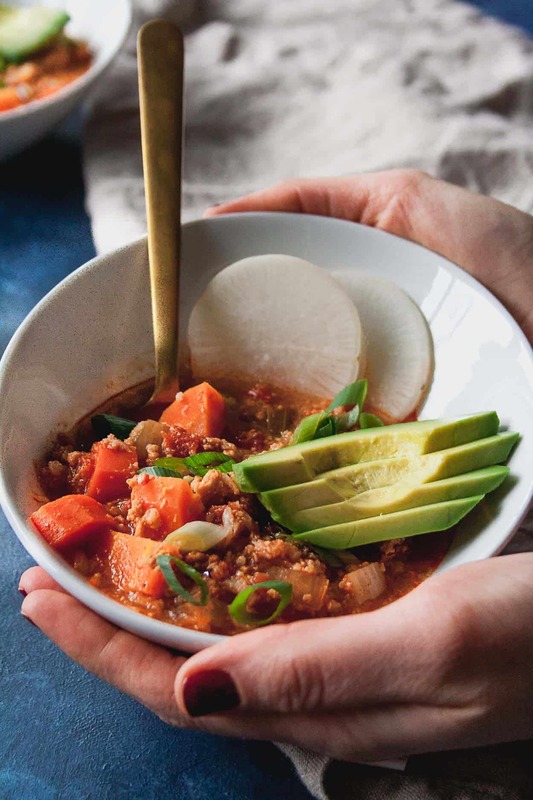 Whole30 approved Superbowl food just in time for the big game! Slow cooker buffalo chicken chili takes 10 minutes to throw together and will feed a crowd – easy, healthy, and so flavorful! I’m sorry, but I just have to come out and say it and then we can quit talking about it… I am DEVASTATED that the Vikings lost on Sunday. Quick recap – I grew up in Minnesota and loved watching the Vikings play on Sundays – I was a Randy Moss ’til-I-die fan girl. I was also a huge nerd and made sure that I finished all of my homework on Saturday (because 4th graders really get hit with the stacks of homework), so there was nothing interrupting my Sunday football sesh. And after their incredible win to get them to this game, I was so sad to see them lose. Justin Timberlake – obvs! I am even more of a JT fan girl as a 29 year old than I was at age 12 swooning over Randy Moss. Is there anything better than JT at halftime?! No, there’s not. 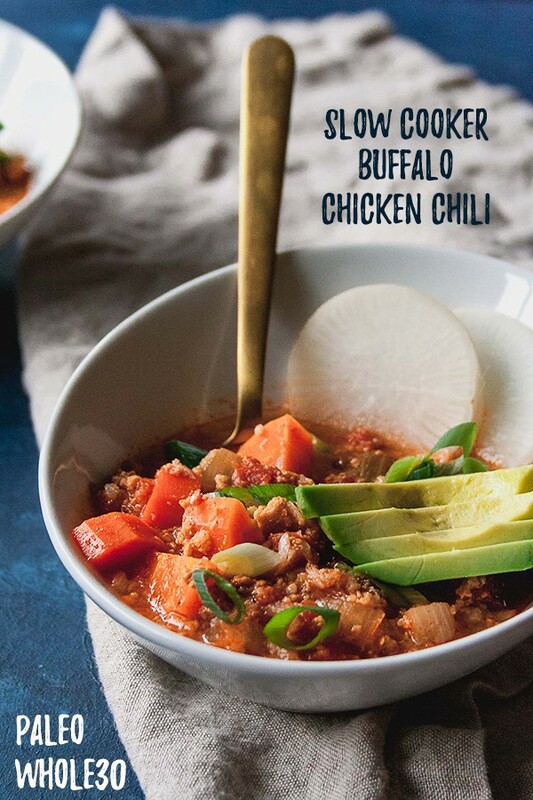 Slow Cooker Buffalo Chicken Chili! 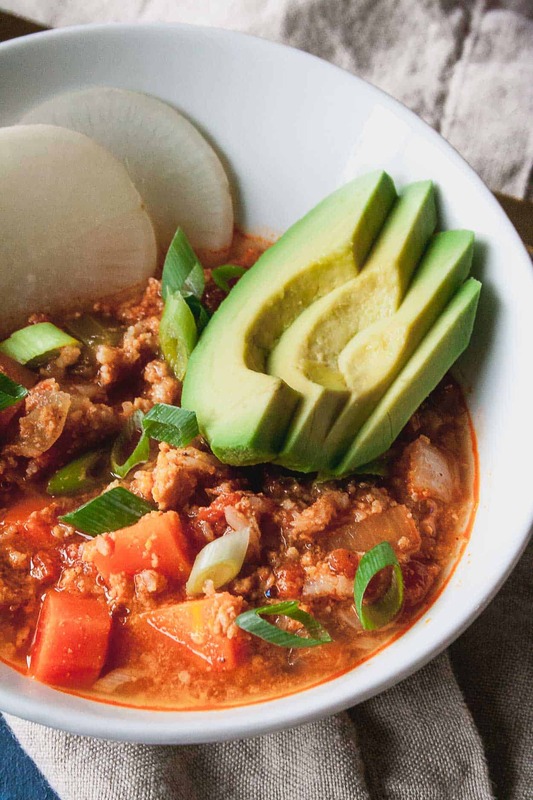 This slow cooker buffalo chicken chili is perfect for the big game! It’s make in a slow cooker (win #1). It can feed a crowd and can easily be multiplied (win #2). It is loaded with veggies and good-for-you ingredients (win #3). It’s tasty AF. What more could you want?! The only thing that would make this better is if there was no football game and instead Justin just performed a whole concert live on TV. Do you think we can make that happen?? 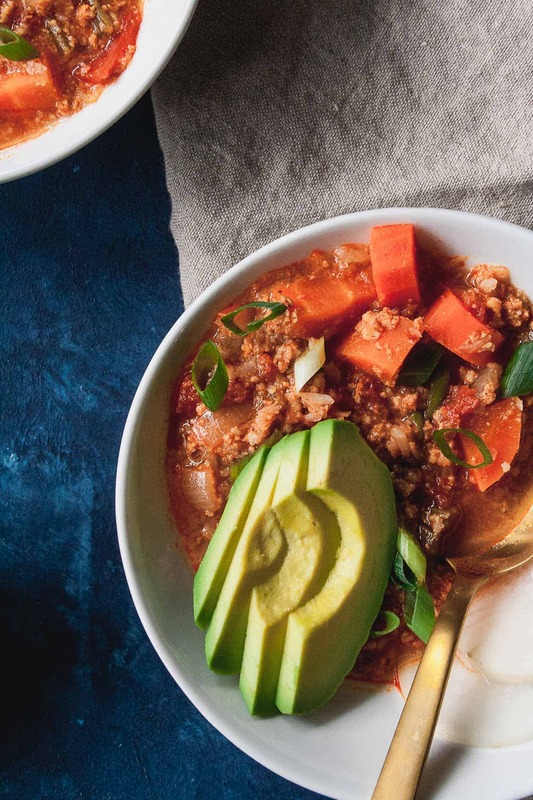 When you make this Whole30 Slow Cooker Buffalo Chicken Chili post a picture on social media and use the hashtag #imhungrybynature for a chance to be featured! Add all ingredients (except garnishes) to a slow cooker. Mix to combine. Cover and cook on low for 4 hours. Mix again to combine. 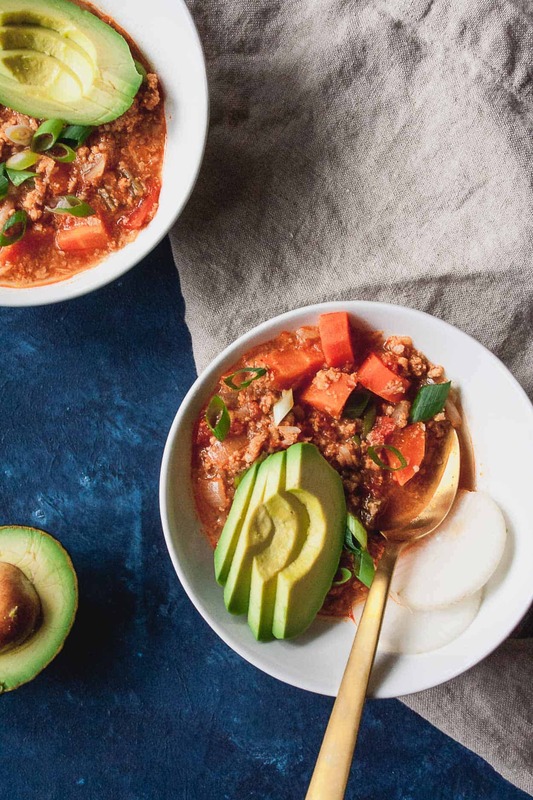 Garnish with your favorite chili toppings – avocado, radish slices, and green onions!